A Broadway musical revue conceived by Simply Theatre President, Fadi Saghir. We put together an amazingly talented group to bring you the one weekend only revue Love Changes Everything. 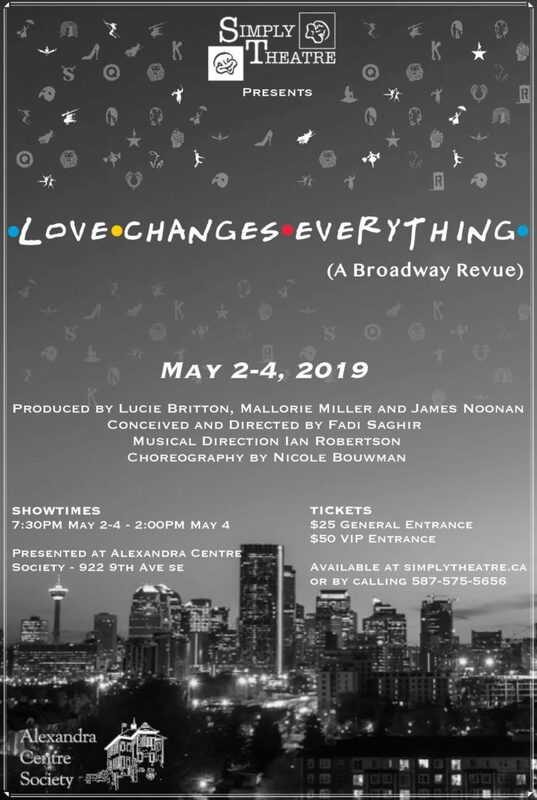 On stage at the Alexandra Centre Society, the revue will feature music from some of the best songs in Musical Theatre performed by some of Calgary’s premier players. Cash Bar, Prize Draws and even more exciting things to be announced!